WP Group (WP) are the latest company to install the EA Projects (EAP) Terminal Automation Platform to improve management of their product movements at multiple locations. The installation of the EAP iSupervisor web based terminal automation system and the iMonitor tank gauging system has now been completed at multiple locations throughout WP’s network. The system is controlling deliveries from multi-arm bottom loading skids which have been installed as part of a major investment program in a number of loading depots throughout the South of England. EAP was commissioned to install new Hectronic tank gauging systems at several locations and to integrate existing OPW and Vega gauging systems at sites where these were already installed. The web based TAS allows remote access to all stock information at the depots from the company’s Hythe office. The TAS also enables WP to control all loading through the skids at each location where the bottom loading skids have been installed. 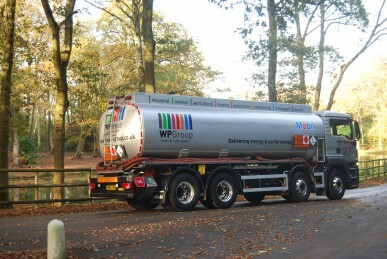 A number of new features were developed to meet WP’s specification including the installation of receipt printers for driver controlled deliveries and inventory management. EA also created special screens which allow the input of data from loading gantries which have not yet been converted to electronic systems. This provides complete reconciliation of all meter movements against physical stock at these locations. Further developments are currently being investigated including the automatic output of load data to vehicle in cab systems. This would allow for complete traceability from the depot through to the delivery point.